During 2013, the City of Kitchener began work on their Inner City Park Rehabilitation. The first of the 100 parks the City is to rehabilitate is Breithaupt Park. You may have noticed some of our blog posts inviting you to provide input at meetings with the City. The process is well underway and you may observe some of the changes in the spring. 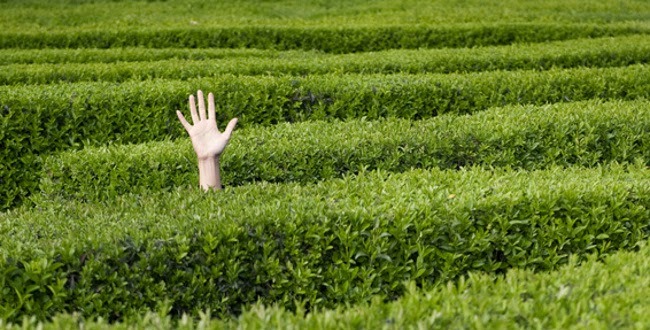 One of the ideas that came out of the meetings was a living maze. So what is a living maze? I’m not entirely sure but it sounds fun! It started with a conversation about children’s fascination with mazes. At Sir Casimir Gzowski Park in Toronto, I watched as my daughter ran in circles carefully tracing the painted lines on the concrete, often stopping and backtracking until she got to the middle. She tried again and again in different entrances. All this fun with the simplicity of concrete and paint! I later learned that this was actually a wading pool during the summer, and when water is added, it becomes that much more difficult and enjoyable. 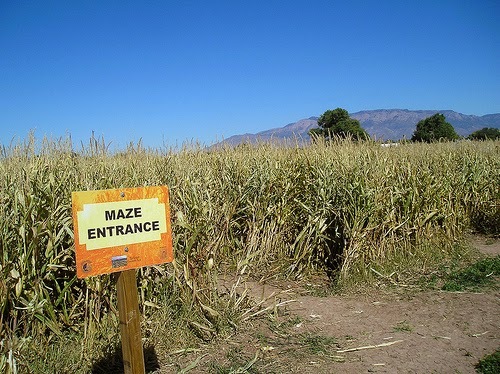 As the idea of a maze was vetted out, we realized that we could do something that was living. There are examples of this in Toronto that City staff have visited. What if we could get the ‘living’ part from within our neighbourhood and all the wonderful plants our community grows? But why stop with just getting the plants from our neighbours? We can do something really special with this idea. Let’s engage our youth, our teens, our adults, our seniors and people with expertise to conceptualize, design, procure materials and build a show piece in one of our great city parks. Starting on April 15th, I will be running a program at the Breithaupt Centre called ‘The Living Maze Project”. (Pg 71 of the Spring Leisure Guide Webreg 157732). This is a free program and is the first of a 3 part series of programs that will run this spring, summer and fall. Participate in one or all. I don’t know exactly how this will all pan out in the end but I am eager to take a stab at it. I have some ideas of what I want to do but they may not be the ideas that the group want to do. I want everyone to have input and to create something that is truly community-born. The slate is clean and all ideas are welcome. Parents: Eligible students will be able to use this project for volunteer hours. Better yet, join with your teen and do it together. Grandparents, you can bring your teenage grandchild too. This is open to anyone 14 years and older that wants to participate. The program is scheduled for 11 weeks and runs for 1 ½ hours each week. That may seem like a large time commitment but there are 20 positions available and there will be lots of hands to help so missing a day won’t hurt. If you want to learn about engaging the City, grant writing, design, plants, or just want to help build community, please register for this program. I promise we will have fun doing it!